The charm of the Northern capitals The Baltics is a very peculiar part of Europe. There's a lot of monuments breathing with history and social life is vibrant. Nevertheless, this destination is often overlooked by an international tourist. Exploring Estonia, Latvia and Lithuania is definitely worth it. And we invite you on your enthralling experience of the Baltics! THE BALTIC STATES SHARE A UNIQUE CORNER OF EUROPE. 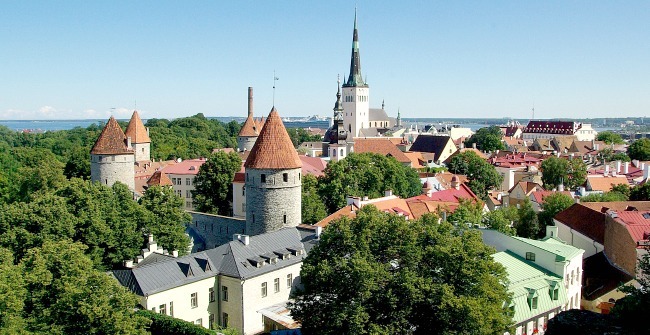 The tragedy of war and centuries of a dynamic history is highly visible in some areas while the impeccably well-preserved medieval architecture of places like the Old Town of Tallinn are on par with the most immaculate of European Capitals. Stand before the palaces of feudal lords and landlords in Vilnius. Feel the pulse of medieval history as you take in the most spectacular views out over the old town of Riga from the Triangula Bastion and, lastly, wind through the Soviet architecture of Tallinn's outskirts before stepping 5 centuries back in time as you cross into the well-preserved old town. Our tour to the Baltics takes you through all these three capitals and as a cherry on top through the northern capital of Russia, St. Petersburg, in a cool and easily customizable tour, suitable for any genre of traveler. Follow our carefully designed tour program or combine it with numerous optional tours to your own special taste and lose yourself in this unique and culturally rich corner of Europe. Explore a quirky and quaint Republic of Uzupis, the artist colony of Vilnius set below the angel statue and the symbol of Vilnius - the Gediminas Tower that is the only remaining part of the Upper Castle. Take a relaxed walk past ancient Gothic cathedrals, Art Noveau and 19th century wooden architecture in the UNESCO designated center of Riga. Stand before the only remaining intact Gothic Town Hall of Northern Europe dating back to the 14th century in Tallinn's old Town. Gaze at the genuine masterpieces of Leonardo da Vinci, Van Gogh, Picasso, Monet, Kandinsky and other outstanding artists in the luxurious halls of the Winter Palace that house the world-renowned Hermitage Museum.